This Reunite Love Spell will help to draw back a lost love. 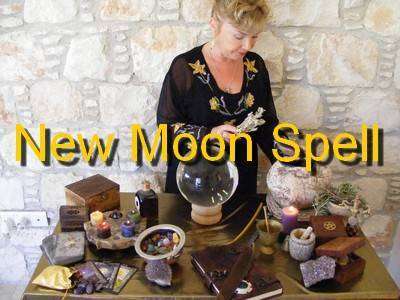 You can also add rose quartz crystals and the Tarot card of the Lovers and the Star to your Altar, along with any representatives of your ex lover, eg a picture or keepsake. You will need to ascertain the direction of North, South, East and West. Take a pinch of the dried Dittany of Crete and place on the palm of your hand. Turn to the East and blow it from your hand in the direction of East. Take a pinch of the Dittany of Crete and place on the palm of your hand. Turn to the North and blow it from your hand in the direction of North. Take a pinch of the Dittany of Crete and place on the palm of your hand. Turn to the West and blow it from your hand in the direction of West. Take a pinch of the Dittany of Crete and place on the palm of your hand. Turn to the South and blow it from your hand in the direction of South.